It's a good way to do things. I could have saved myself 3 hours if I happened to have a fan motor in my trunk. I'm not sure what I'm going to take to Big Socal yet. Will be a cool show, and I'm sure at least a couple of Bimmers guys from here in Sac will venture down. You plan to make that trek? I've done it once before. There's a group of guys from my local club who are planning on making the trip, and I'm thinking of going with. Last edited by t8fanning; 07-01-2017 at 05:15 AM..
Don't ask me how or why, but the fuel rail mount broke again. This time it was a total weld failure and the part is off on the side of the road somewhere. I looked for a while but no luck. 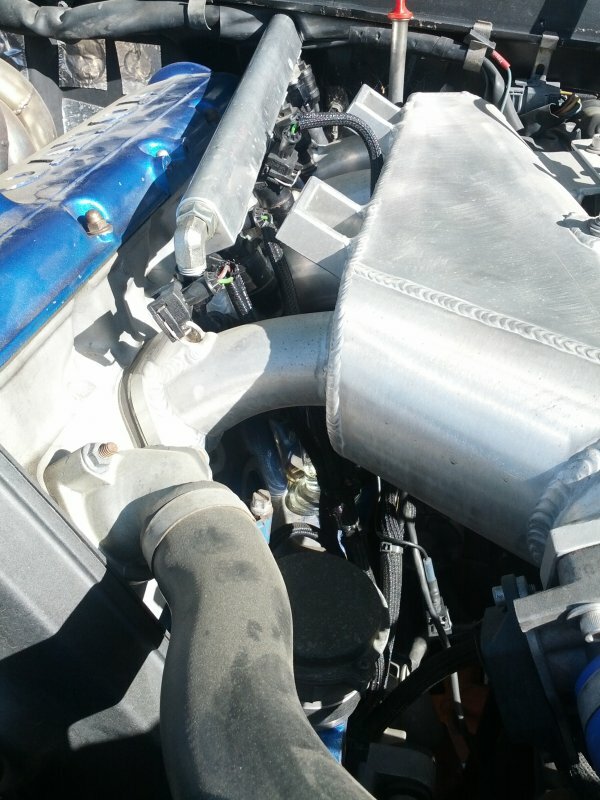 I did a pull, heard a little pop and lost boost pressure. I went home and noticed what was missing. 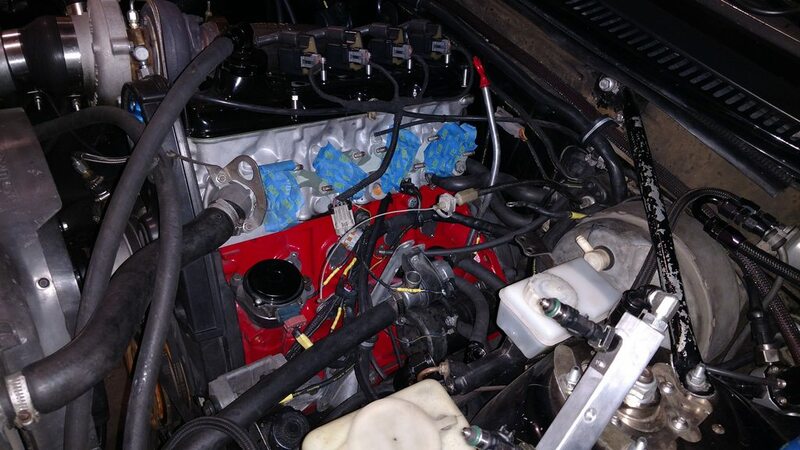 Luckily pulling the intake only takes 20 minutes or so. I'll have to machine my own bracket from angle aluminum unless Nathan does them another way. I also did a few other things. 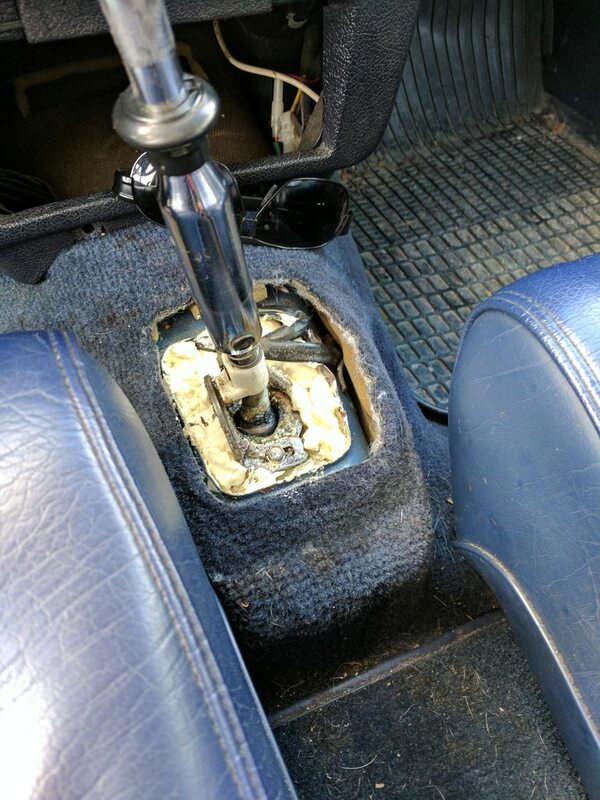 I refurbished my shift knob, made a little extension, and installed a foam isolater. Super easy to install from the top and makes a huge difference in cabin noise. I'm not in love with the looks of the shift extension, I may have it anodized black or something but it feels much better now. Yes it does. The worst part is I have no idea why it failed. I pulled a strut bar off because I thought the rail hit it. Looks like it's something else. 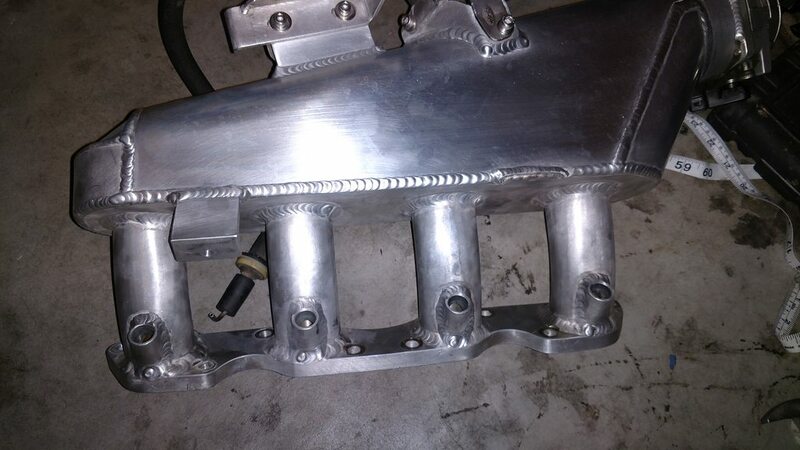 I have an early one, and the fuel rail mounts are attached at two points on the base plate of the plenum at 90° to yours. Its very solid. 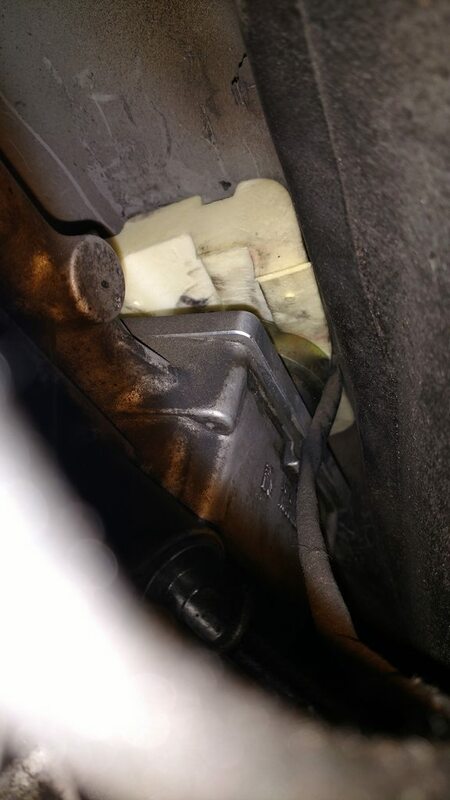 Just having it attached at one point in that direction would bend those angle aluminum pieces with fuel pressure, boost pressure, and any preload that might be on the injectors. I thought I saw someone else's fail the same way yours did too. Maybe it would be enough if you add an extra piece on the bottom open part of the angle aluminum piece so its boxed in like the early ones. I wonder when he switched designs. When did you get yours? You probably saw mine. This is the second time it's failed and Nathan said he'd never seen it happen before. Yes, I'm planning on replicating the rear mount with a gusset. Mine was only welded on top so it's probably going to be fine with both sides welded but might as well fix it once. I received it from him in late Februrary 2010, I think that was the first batch? IIRC, Bergen's cracked there also. Bummer, I'd weld it top and bottom, and put a triangle gusset perpendicular underneath as well. Should have no problems then. Nice work on the shift extension! I actually wish mine was a touch longer. I actually wish mine was a touch longer. Could the fuel line at the back not have enough slack, or is too heavy for the weld? Every time the engine rocks, it might be constantly tugging and pushing on the fuel rail? I don't think so. There should be enough slack in both fuel lines to account for engine movement. Neither line is anywhere near taut. 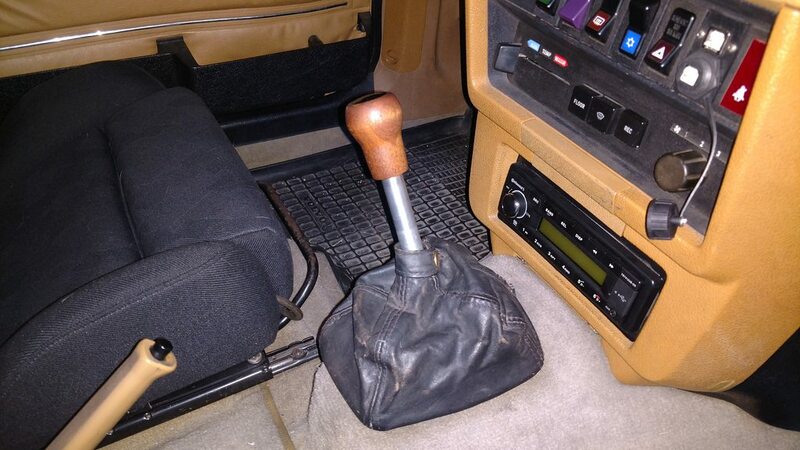 What did you use to insulate around the shifter? 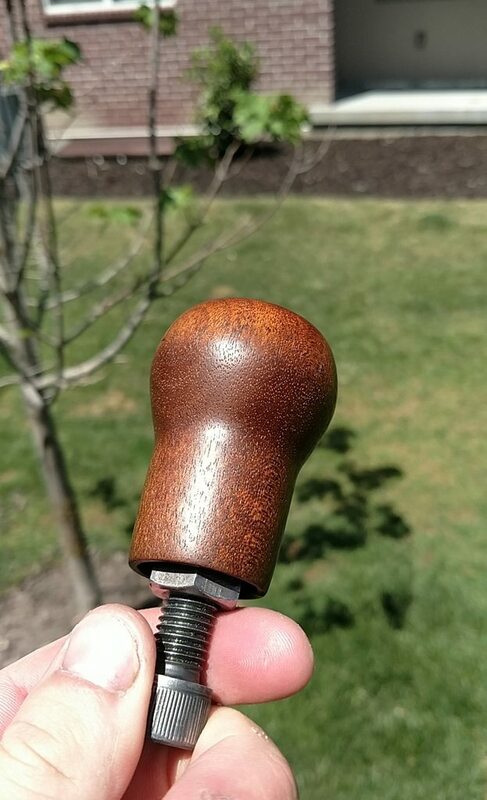 Foam shifter isolater from Ian (hiperfauto). 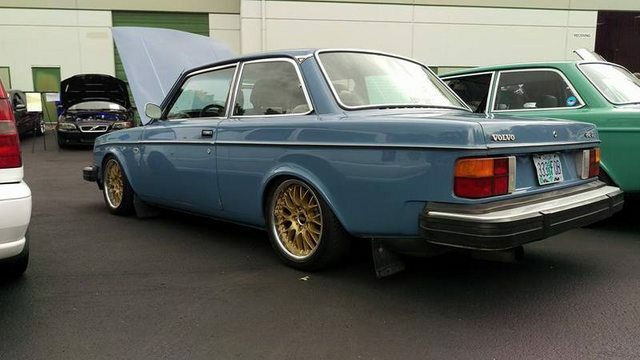 It's a Volvo OE part. Why is there a huge picture of expanding foam in this thread? Why is there someone showing off hacky garbage in someone else's build thread? Perfect, I will hit them up. Thanks. No problem. I didn't even know it was a part option until I saw it a couple weeks ago in a thread. It makes a huge difference. I have a the stock rubber boot, and a leathery boot installed, but I'm sure the foam would help a ton. Just trying to make the car as civil as possible. I have the same along with an additional canvas boot I made. 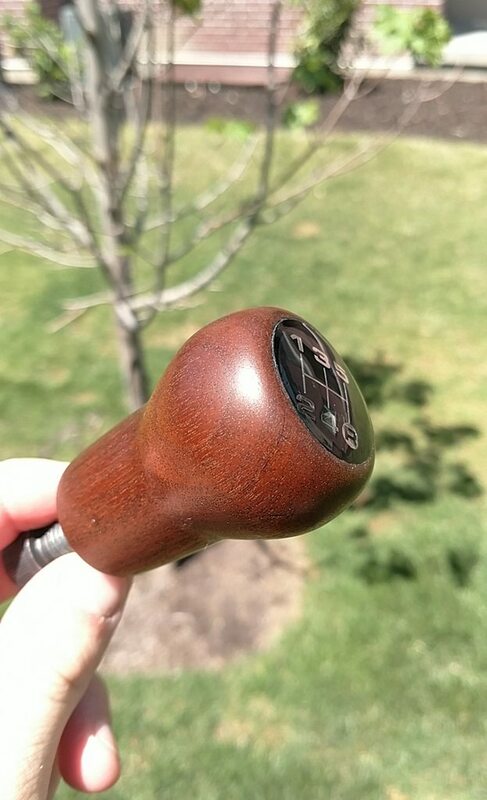 The rubber boot kept popping my shifter out of second so I had to cut it a bit. The foam makes the most difference by far. Interesting, I haven't had any issues yet with the boots popping the lever out of gear. Although, I'm going to do some work on raising the trans mount (so I can work on the pinion angle a bit more to remedy my drive train vibrations) so I may run into other issues later.